It took a long, torturous month. On 26 October, Palmeiras had secured ascension. Yesterday night, negotiations between coach Gilson Kleina and Palmeiras regarding the renewal of his contract were finally concluded. And signed today. 12 more months. Many a name had been whispered in the corridors and some journalists even dared to confirm that this or that person was the chosen one, had a verbal agreement. Vanderlei Luxemburgo, Osvaldo de Oliveira, Abel Braga, Caio Júnior, Vágner Mancini… If any of these were de facto approached by Palmeiras, we might never know. 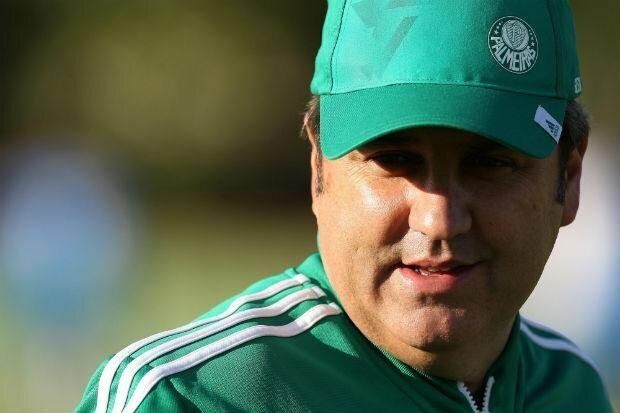 What we do know is that among directors of Palmeiras, there were a preference toward renewing with Kleina, but also that there were others who felt a heavy-hitter needed to me signed for the job. Perhaps due to this, talks were initiated with Argentine Marcelo Bielsa, but as previously commented on this space, the asking price by Bielsa was a non-starter. Thus, back to Kleina. A man who did what was expected of him this season, nothing less nothing more. A man who believes in his potential. A man who wants recognition. More autonomy. And a salary raise. On the other side of the table, Palmeiras, in need of a good coach but unwilling to pay what the Brazilian market (or the international, for that sake) today stipulates. Paulo Nobre with a firm idea that a shift of paradigm is needed. That performance and results must have a greater impact on remuneration. Today, the logic is reverted: coaches sign monstrous contracts, receive additional bonuses if they win, collect salary normally if they lose and collect bucketloads of fines and compensations if they end up fired. Frankly speaking: Kleina is no one’s first choice. Then again, he’s probably nobody’s last choice either. For Palmeiras, settling for middle-of-the-road is obviously not what we’re used to, but the giant has only started to recover. Today, this is our reality. And let’s face it: there are a lot of coaches in the Série A that come with a much heftier price tag and that I’d prefer not stepping at the Palestra at all. When taking into account that Kleina knows the squad by now and also has its overall support, the choice starts making even more sense. The tough part certainly was convincing Kleina about this, make him understand that the offer made wasn’t aimed at downgrading him personally, but the implementation of a new policy. Crucial was convincing him that he will receive the support and the reinforcements necessary to go after the objectives given to him by the directors. With a coach in place, the reformulation of the squad can finally take place. Many names are being mentioned, but here at Anything Palmeiras we avoid speculation: we’ll comment when contracts are being signed or when there’s something truly concrete to write home about. What if everything goes wrong from the start? What if the São Paulo championship in early 2014 reveals a helplessly lost Kleina? Well, if Palmeiras fires Kleina, the information we have is that the new contract stipulates a maximum financial compensation of three monthly salaries (i.e. 3 x R$ 200K), subject to suspension in the case of Kleina going to another club. Fairly reasonable, I’d say. At least nothing that prevents Palmeiras from swapping coach if bad comes to worse. Gilson Kleina is our coach. All support to him, and the best of luck. Full attention directed toward the renovation of the squad and the announcement of a new Master Sponsor (when?!? ).